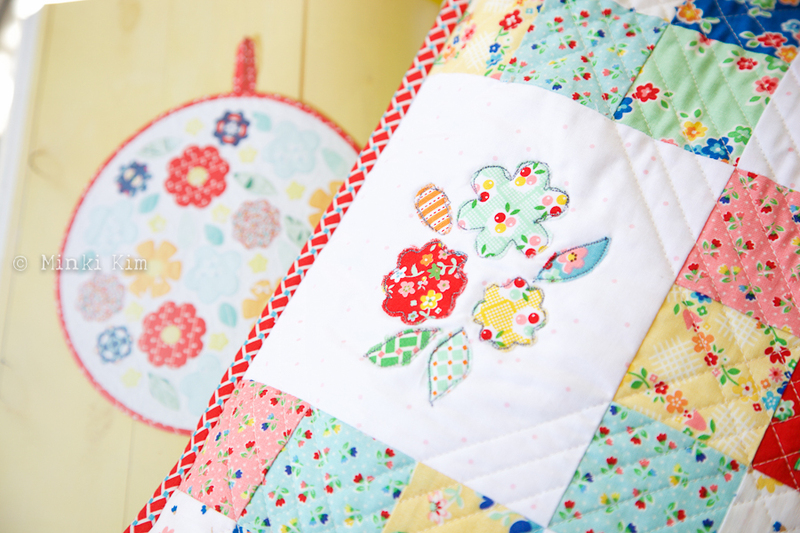 It’s finally my turn to talk about Weekend Quilting, Jemima‘s first book. 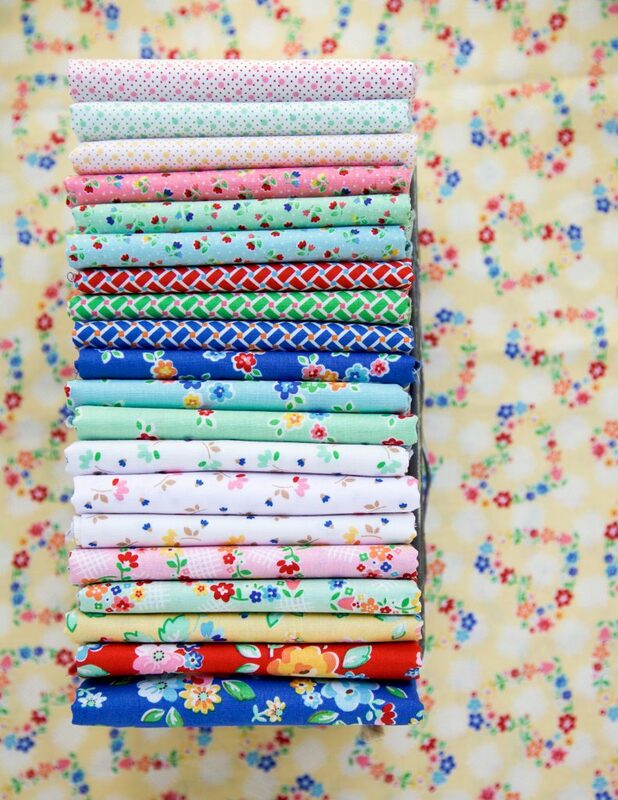 When it comes to quilts, I am always like a preschooler peeking through a 1st grader’s classroom. What they are learning seems so cool, so hard and I want to grow up to be in that class. Just like that, Quilting seems like the big leagues. I was so happy when I received Weekend Quilting. Jemima, my big sister showed me the ropes. The very first lesson I learned at a little quilt shop near my house 20 years ago was a nine patch. That’s when I first learned the basics. My quilt teacher taught me how to make a pincushion using hand stitched nine patches. So for me, nine patches are for a pincushion. 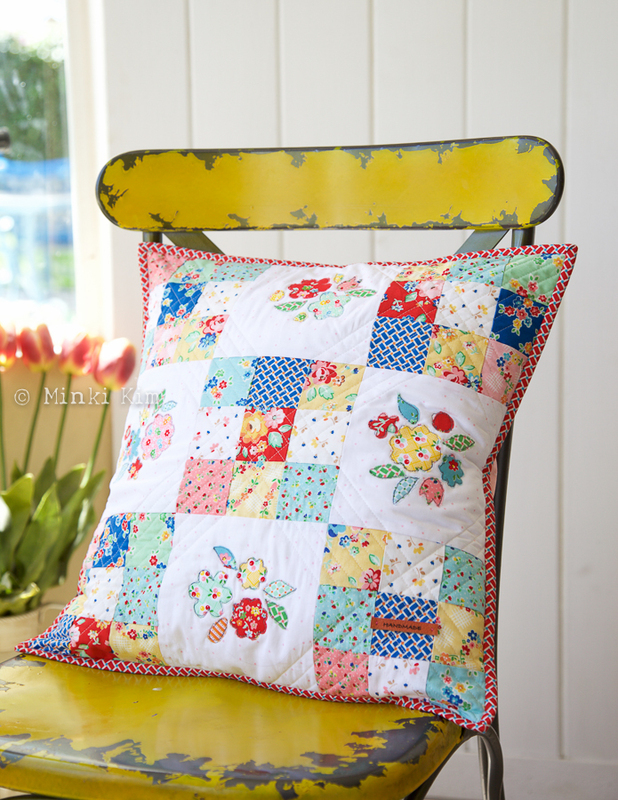 Jemima tought me I can make a big cushion, mini quilt and other huge proejcts! To show her that I am a smart student, I wanted to add some thread drawing on my white canvas. I took the motifs from her Blooms Mini Quilt. I think this design can be used on any projects by resizing or just changing the little things..
And ta-da! 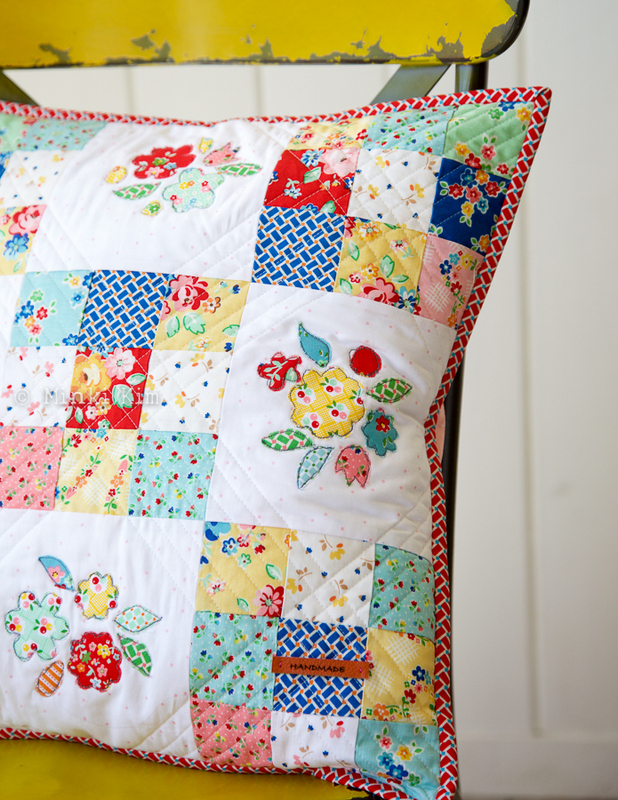 I love how Nine patch and Bloom mini quilt look together in one project. Do you think I can be a second grader now? 😉 I am very confident because I have her book! Claire was patiently waiting for mama to take pictures and asked me with big smile. She loves her new pillow and her happy face makes me want to flip through the book again and has got me thinking about what’s next? I used Arbor Blossom , Nadra Ridgeway‘s newest collection for Riley Blake Designs. 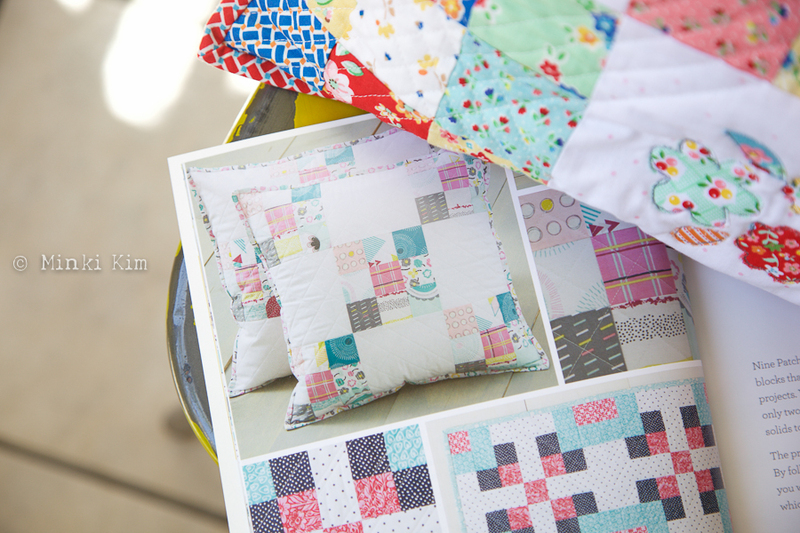 Go grab your copy of Weekend Quilting and sew something on your free weekend. 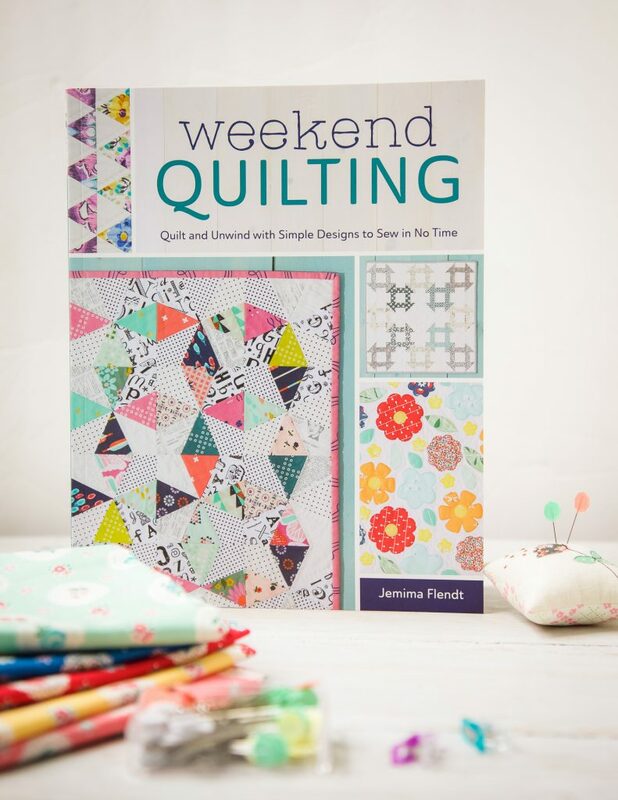 Check out each stops along the Weekend Quilting Book Showcase for your next project inspirations. Oh what a beautiful pillow!! Your thread drawing just sets off the whole pillow, so happy and bright. I also love the way you quilted it, not to much but very classy! You are so creative!! I think you are way beyond second grade dear Minki, in fact I think you have graduated with honors!!! I think I always receives bigger prize than I deserve. I cherish each word and will remember to stay humble, my dear friend!! Sew Illustrated and fell in love with your designs. You have a way of putting things together that is just so pleasing. I am a fan and visit your work table as often as I can. Thank you for sharing your amazing talent with the world. You make me smile. Absolute perfection!! Loooove how you shrunk the flowers down and did some sewing illustration on these!! I love your kind eyes! You always look each creation carefully and find out the hidden details. That makes you so special, my friend! The other day, I looked a small bag I made for my little girl and then I realized how much I learned so far. Thank you for writing beautiful book and thank you for being my friend, Jemima!! Minki you are definitely a first grader! 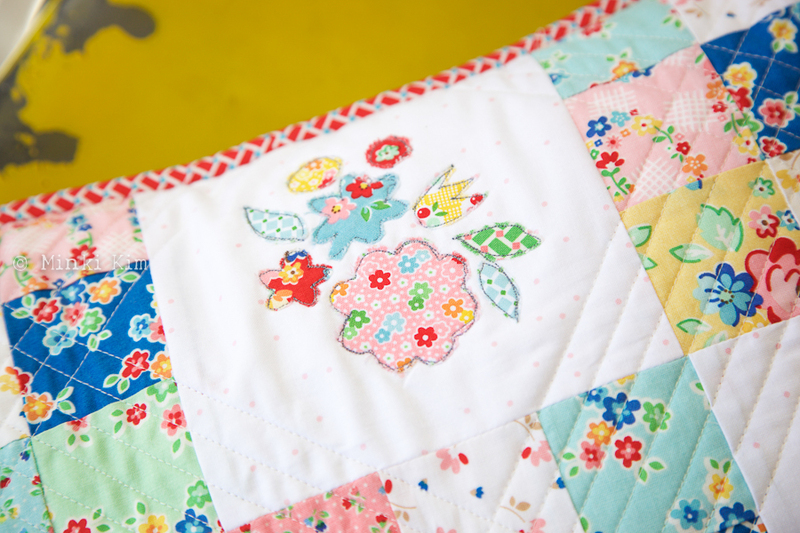 Your quilting is perfect! Those ramrod straight lines, sharp corners, and always some sewing illustration adding interest. And of course you always use such wonderful fabrics. I’ve just spent ages unpicking all the wobbly lines on my hexi quilt so I know how hard it is, so you have learnt your craft so well and are now a master of stitchery! It’s like a beautiful song to me. I don’t know if I deserve this complement but I will keep trying and I will do what I can do the best. Thanks for stopping by and make this play shine! 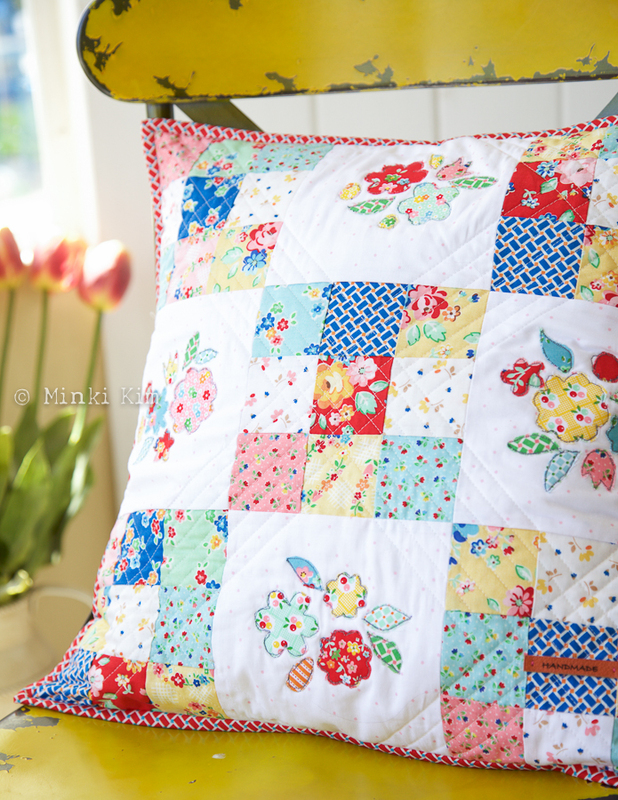 Minki, your pillow and the diagonal quilting is beautiful. Second grade work!! I can’t wait to see what awesome sewist will make! !